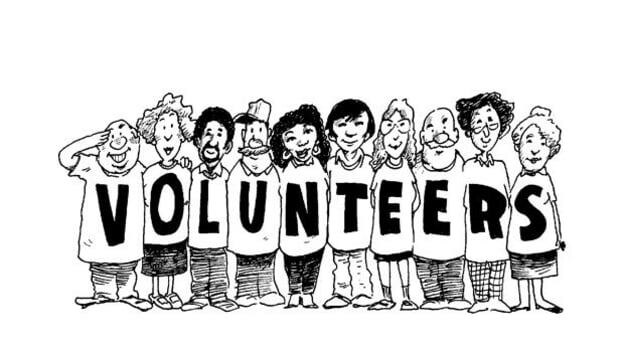 Article: Does your organization support employee volunteering? Does your organization support employee volunteering? 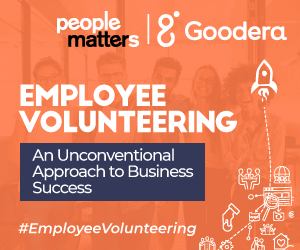 People Matters in association with Goodera has launched a survey to study the current trends in Employee Volunteering in India. Here are some key insights from our ongoing analysis. Organizations need employees who are inspired, engaged, and happy. Research consistently shows that employees are happiest and most likely to stay with companies that are innovative, align with personal values, offer opportunities for growth and development, cultivate and encourage collaboration and teamwork, and foster an environment where employees feel inspired and play an integral role in making a positive impact in the world. The idea of developing a strong company culture and increasing employee engagement efforts to attract and retain top talent is nothing new to HR professionals. However, John Hagel, Author and Co-chairman of Deloitte LLP quoted in his blog saying, “I’ve come to believe that engagement is a distraction from the real issue – the lack of worker passion.” He referred to a Deloitte survey and confirmed that employee passion levels in the US are remarkably low, far lower than employee engagement levels. According to the study, only 13% of workers have the passion of the explorer. So, how do you instill passion in your workforce? How do organizations create an environment that we catalyze and nurture passion? According to Deloitte’s ‘2017 Volunteerism Survey’, 70 percent of respondents say that volunteer activities are more likely to boost employee morale than company-sponsored happy hours, and 77% say, volunteering is essential to employee well-being. The report notes that creating a culture of volunteerism may boost morale, workplace atmosphere, and brand perception. To study the current landscape of Employee Volunteering in India, People Matters in partnership with Goodera has launched a survey - Volunteering in India: Survey & Trends Analysis - VISTA 2018. Many a time, during meetings, you might have heard your leaders asking the organization to have better working relationships with various departments in an organization. They would echo, “We need to work as a team by breaking down social barriers and bridges created by office politics.” In our ongoing research to study employee volunteering programs, 55 percent of organizations use employee volunteering programs as a tool to promote team collaboration and alignment. 92 percent of employers shared that they support their employees to volunteer for a cause they feel for; however, only 26 percent have a formal volunteering policy in place. The figure reflects that while the corporations are optimistic about the positive impact that employee volunteering can make on the business profitability, most of them are facing challenges in implementing the program. Out of the 8 percent companies who said that they don’t support their employees for volunteering, they quoted lack of team bandwidth to initiate, execute and sustain these programs as a critical reason for not having an employee volunteering program at the place. Through our ongoing research, we also found that the companies who support their employees for volunteering consist of a greater millennial population as compared to the companies which do not. These were some key highlights from the live survey. If you wish to get more insights from the study, click on the link to participate in the survey and stay tuned to know more trends in Employee Volunteering.